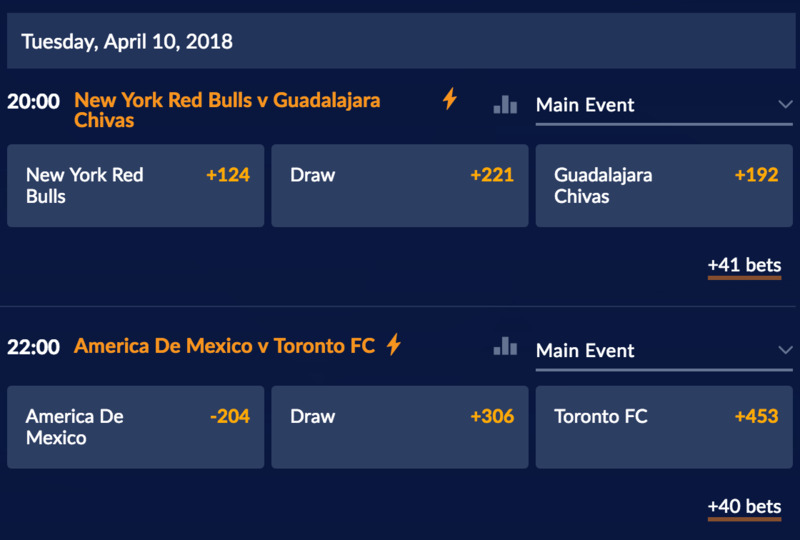 Last week we correctly predicted wins for Chivas and Toronto FC, and explained how you could make extra cash from a parlay bet. The double payed out at odds of +234, which would have certainly bolstered the bank balance. This week offers the exact same opportunity, and the exact same odds via Sports Interaction. A win for both New York and Club América will provide a return at +234 once again. It's hard to see any other result in the Toronto FC match, although Chivas could certainly claim a draw in New Jersey. The combination bet of Club América and a draw will give you the incredible price of +378 for a parlay. These small tips can help your pay day significantly, so why not try your luck? Prior to this year's tournament, MLS teams were basically the whipping boys in a competition that has produced only Mexican champions since it's redevelopment in 2008. In fact, there have been seven instances during the last decade where the tournament has featured an all-Mexican final, and two occasions where all four semi-finalists were from Liga MX. This could have been on the cards once more as four Mexican teams entered the quarter-finals. 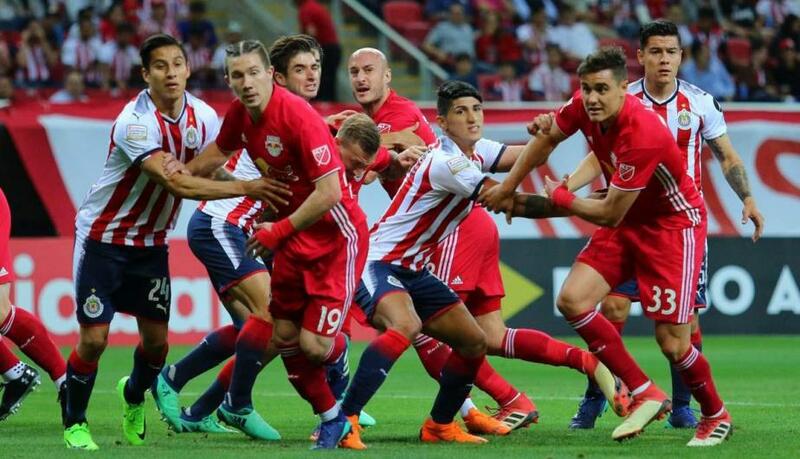 Yet the MLS teams stood tall, and perhaps the tallest was New York, who completed a stunning 2-0 upset win in Tijuana before completing a 5-1 thrashing over their Mexican opponents on aggregate. The Red Bulls will carry plenty of confidence into this match. Guadalajara are a strong team, which was on display throughout their 3-0 victory over the Seattle Sounders in the last round. To go south of the border and only trail 1-0 before the return leg in New Jersey is an excellent result, although the lack of an away goal certainly puts this game in the balance. In even better news for the New Yorkers, Chivas will be without their captain and starting central defender Jair Pereira suspended ahead of this match for his altercation with Sean Davis in the first leg. It is expected that Carlos Salcido will step in, although this will certainly be a good sign for Bradley Wright-Phillips and company at the front of the New York line. 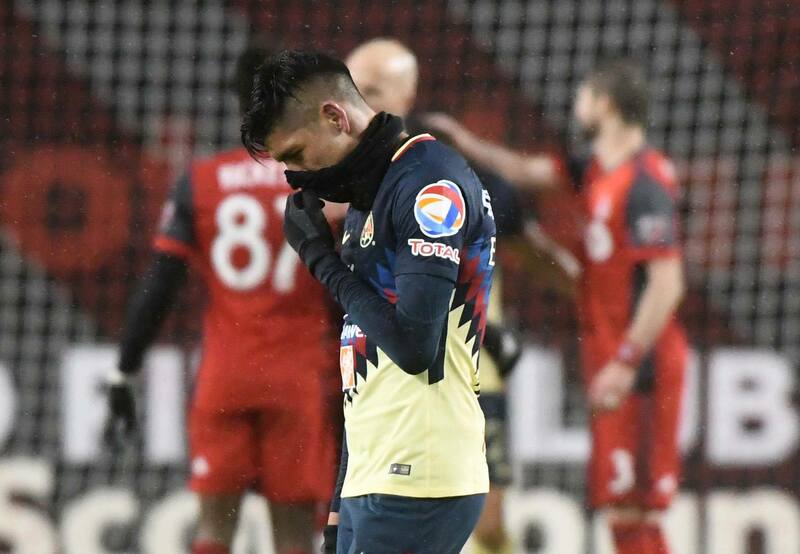 While league form has proven to be barely relevant in the lead up to these midweek Champions League duels, Chivas did lose their match to Veracuz on Saturday, while New York had the weekend off. It remains to be seen whether the extended rest will be good for the MLS club, who have been very good in home matches so far this season. The odds available from Sports Interaction indicate that this is going to be another tight affair. New York will enter the match as the favourite, but only by the barest of margins - you can get them for +124. Guadalajara are slight outsiders at +192, while the draw can be picked up for +221. These type of odds indicate that the sportsbook is favouring the draw, which is not a bad pick considering that is all Chivas need to progress. We feel differently though - although the Red Bulls are considered underdogs in the overall tie, their effort in reducing their opponents to a solitary goal at home indicates they are a good chance of winning this match. Remember that the bet here is not on who will progress, but the result after 90 minutes. This match could go into extra time if New York win 1-0, although this line purely focusses on the regulation time result. Go for New York Red Bulls @ +124 here. We feel they will get the win even if it means they lose the tie on aggregate (which would occur if they win 2-1, for example). You have to admit that Toronto FC's 3-1 win over their Mexican opponents in the first leg came with more than a slice of luck. Sebastian Giovinco's first half penalty was questionable at best, while the barely defrosted pitch at BMO Field led to plenty of frustration for a Mexican side used to playing on a much better surface. But hey, both sides had to play on it, and Toronto FC showed great composure. Aside from Andrés Ibargüen's incredible run through the middle of Toronto's defence, Club América didn't really threaten against a well-drilled and disciplined Reds outfit. And boy were they punished on the break. Toronto FC scored two fantastic goals in this match to set up what is bound to be a thrilling affair in Mexico City. América know they need to score at least two goals to have any chance of progressing, which provides a great opportunity for the defensively sound and counter-attacking Reds to gain a crucial away goal. They proved against their Mexican opponents in the quarter-finals that they are capable, scoring twice in a 3-2 loss that saw them progress on the away goals rule. Just one goal here would mean Club América would need to score four times to win this match. Yet Toronto aren't strolling down the 401 to face Montreal or making the relatively short trip to New York to face the Red Bulls. This is a trip to the Azteca stadium, one of the most well-known sporting cathedrals and the only venue to have hosted two World Cup finals. The Azteca opened in 1966, over forty years before Toronto FC entered the MLS; amazingly, Club América were founded some 50 years prior to the opening. Perspective. The 85,000 seat venue might not be full on Tuesday night, but it's bound to be hostile, and only one team has ever managed to defeat América on their home turf in the Champions League. There appears to be little doubt over the final result, but the main question for Toronto FC will be can they lose but still progress to the final? Any loss by a solitary goal will certainly allow that. Again, it's important to note that the wager you place in the head to head market is based on the 90 minute result. This match isn't likely to go to extra time, given that the only scoreline that would take us there would be 3-1 to Club América, but regardless you will need to remember that you are betting on the team who will win the match, not necessarily the team who goes to the final. The home side start as favourites at -204 and we certainly can't see any result other than a Club América victory. Your alternatives are the draw at +306 and a Toronto FC win will fetch you +453. Go for Club América @ -204 and pray for Toronto FC to do enough to progress.